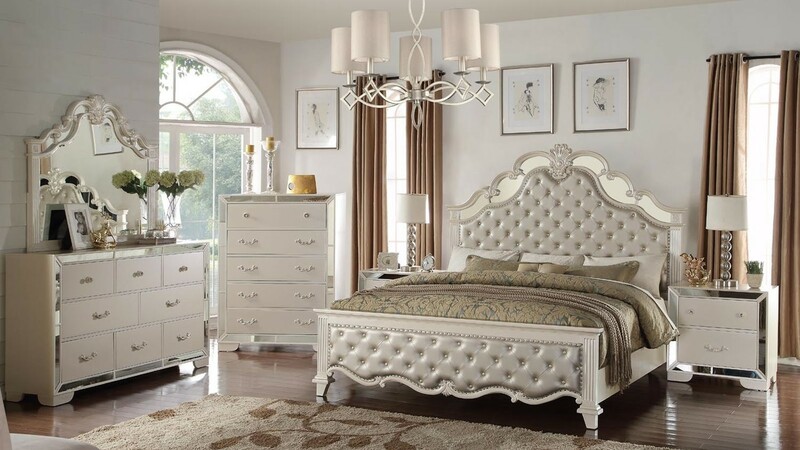 Bring more and luxury and comfort to your bedroom with this elegant collection. 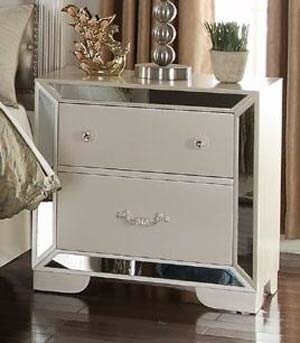 Sonia bedroom set comes in unique silver finish with chromed mirror inserts. 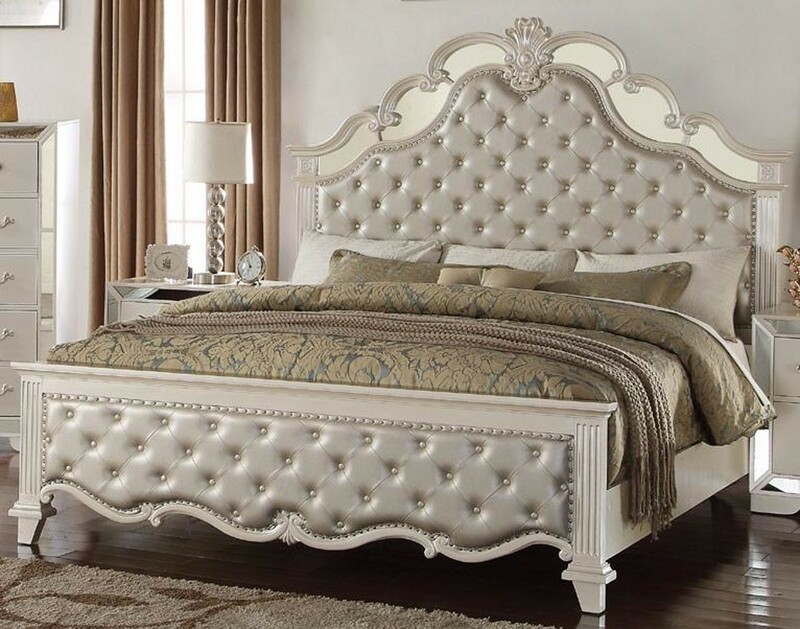 Button tufted headboard and foot board is accented by nail heads trim. 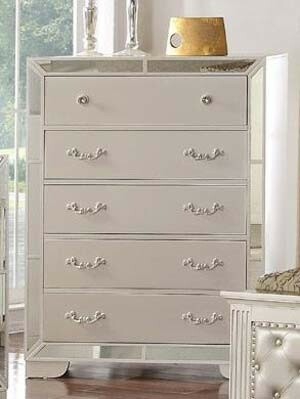 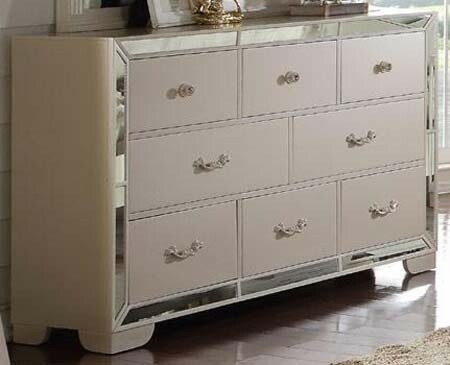 Available in queen and king sizes this collection offers bed, 2 nightstands, dresser, mirror and chest. 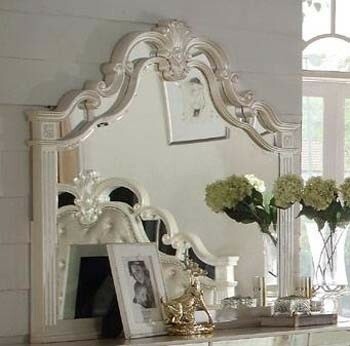 You can purchase it in any combination or using one of the packages listed above.